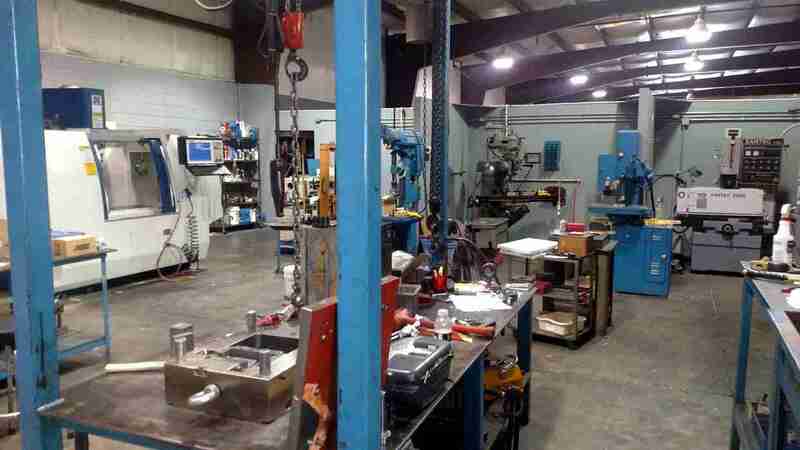 Our machine shop, mold repair department. was originally set up to support our plastic injection molding operations.We soon found that many other plastic companies and individuals needed our services so we began assisting our customers with their mold making, mold repair and maintenance, prototyping and tooling fabrication. We have recently expanded our machine shop area in order to provide more room for new state of the art equipment and give us a better workspace for projects while incorporating a Fryer vertical milling center(VMC) Mill and Thompson 9x36 surface grinder into our capabilities. These have already been put to work in serving our customer's needs. If you have CAD drawings then it's just a matter of quoting the work.If you do not have drawings we suggest talking with an industrial designer. Our Machine Shop Services Include! Lincoln Horizontal Band Saw 4" x 5"